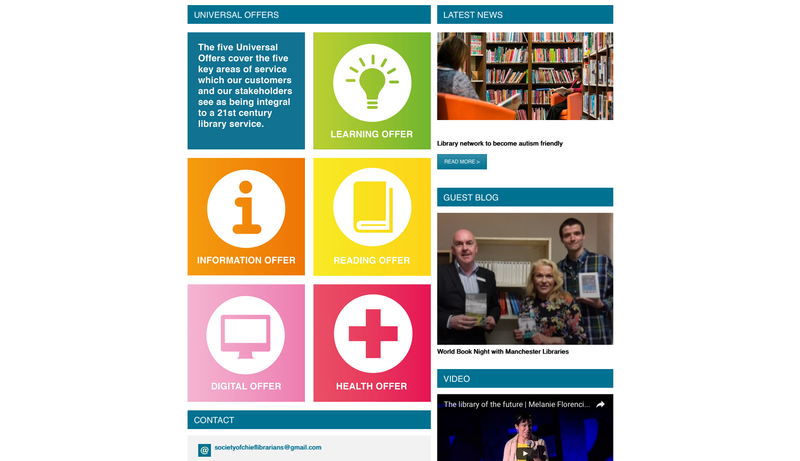 The Society of Chief Librarians is responsible for managing public libraries across England, Wales and Northern Ireland. 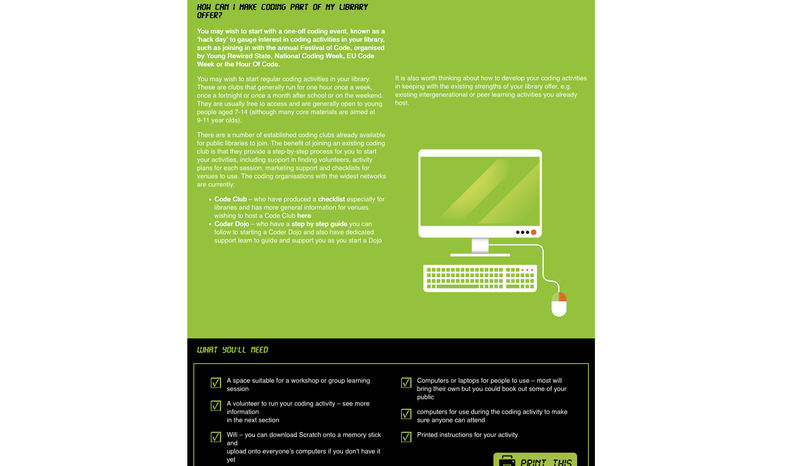 We first worked with SCL on their Code Green event, creating both offline and digital marketing materials for the launch of this initiative aimed at children and young people. From this, we were asked to redesign their website to coincide with the event and match the engaging and user-friendly appeal of our previous work. 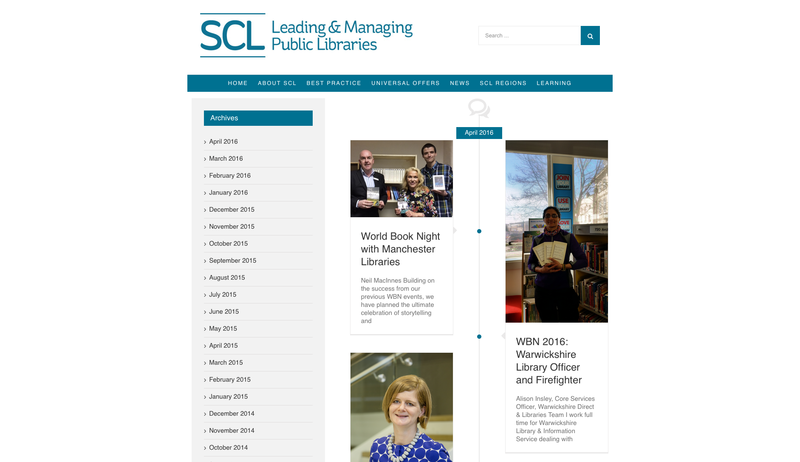 The deadline was short but we worked hard to deliver a bright and inviting online resource for both SCL members and the general public. 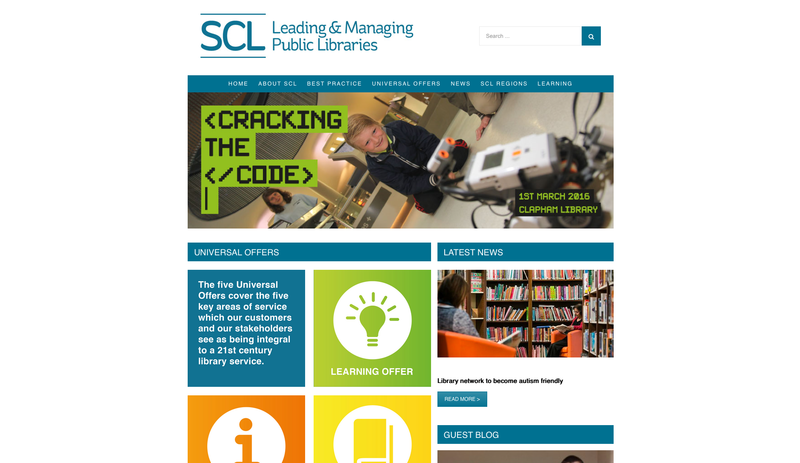 The new website is packed full with a wide range of useful content from blog posts, embedded videos, social network feeds and downloadable resources such as worksheets, posters and other marketing materials to help promote SCL’s Universal Offers: the five key areas of service which customers and stakeholders see as essential to a 21st century library service. 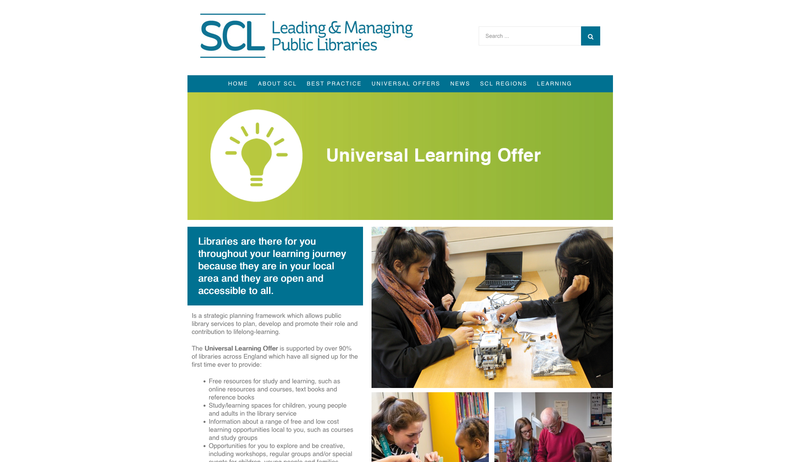 Code Green was a microsite we built to promote the Digital Making Kit in support of the SCL’s Universal Learning Offer. As well as developing the branding and creating the tagline for Code Green, we created a website design with a grid layout allowing each square to represent a key chapter of the programme. Each chapter links to another page with specific and detailed information about that aspect of the Code Green initiative. 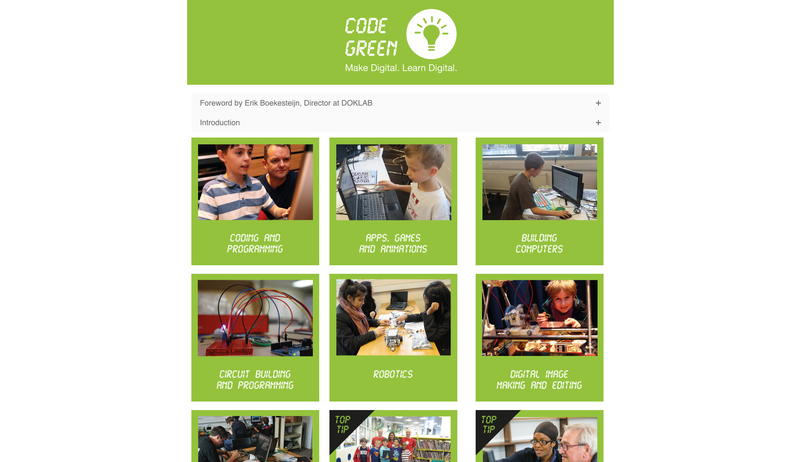 Alongside the website, we also created a digital brochure and various other printed and online marketing materials for the SCL’s launch of Code Green.